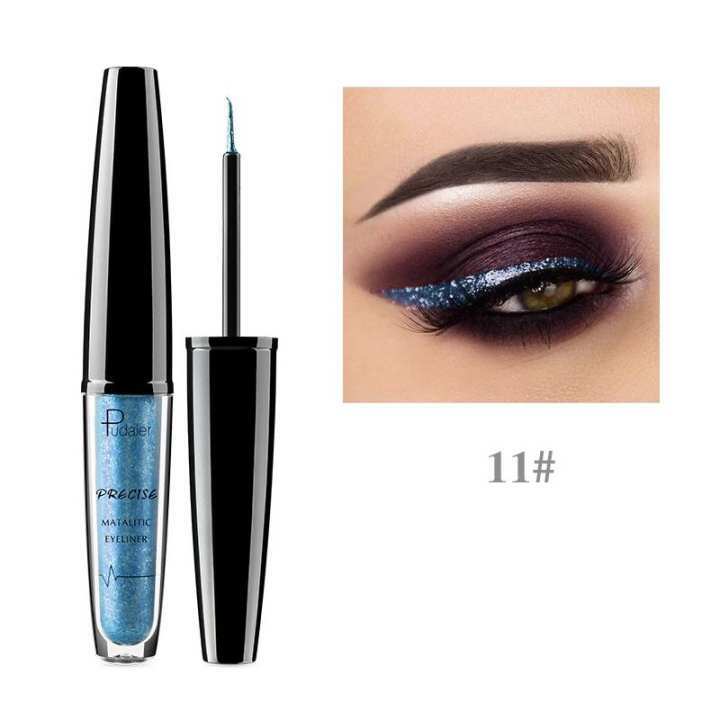 Glitter eyeliner and pigment waterproof. The fade-resistant formula to last for hours. For any special occasion from a wedding to a night out. Twist the cap clockwise to open and to reveal the wand applicator. Apply a coat of the eyeliner to the edge of your eyelash line. Return wand and close tightly.